Presented by Redeye in partnership with The University of Bolton and Chetham’s Library. This is the first gathering of its kind in the UK for ideas and discussion about photography, featuring a wide range of sessions by and for photographers. It is Redeye’s major event for 2009 and is an unmissable weekend for those who are serious about photography. Who is it for? It is aimed at photographers who are interested in the way the profession is going, who are looking for ideas from their own and different disciplines, and would like an opportunity to discuss these ideas with some of the leading figures in photography. It will also be useful to all those who work with, buy or teach photography. Why’s it needed? Many people have told us that they would enjoy the chance to meet with colleagues to discuss new ideas and developments in photography. And lots of people are saying there are some critical things that are not getting discussed properly. 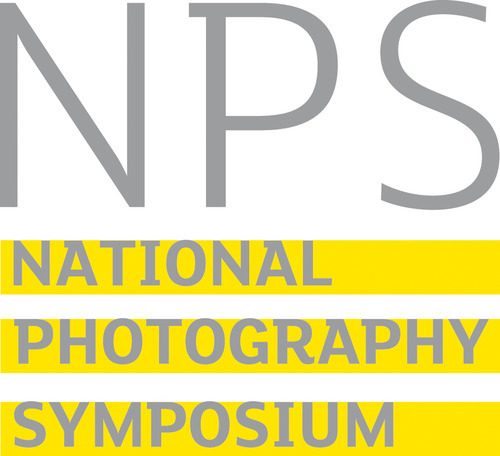 While there are several excellent single-issue academic conferences, there is no clear gathering in this country for people working in photography to get together and talk about the things that are most important to them. What’s going to happen? The weekend includes around 20 different events – debates, keynote presentations, panel sessions, and more offbeat activities – with various threads running throughout – fine art, publishing, museum and archives, photojournalism and documentary, community, editorial and commercial. You can follow your specialist area or mix and match from different themes. There’ll be plenty of opportunities for networking and chatting in convivial surroundings. We will also have some hands-on and fun sessions. Most formal sessions will be recorded for podcasting, so you don’t need to worry about missing something. A detailed report will provide a reference for later use. The symposium will be introduced by poet Ian McMillan on Friday evening followed by an informal reception and viewing of the University of Bolton Masters Exhibition. Then sessions run from 9 am on Saturday morning through to Sunday lunchtime. Various informal activities will be happening in the evenings. Friday 19th June: arrive from 6pm; talks start at 6:30pm. Ends 8pm. Saturday 20th June: arrive from 9am, sessions start 9:45am, end 6pm. Sunday 21st June: arrive from 9am, sessions start 9:45am, end 1pm, with a special event at Urbis until 2:30pm. Food. Friday evening drink and nibbles, Saturday lunch, and tea & coffee and water throughout are included. NB Many sessions overlap. You will be able to choose which sessions to attend when you arrive, subject to seat availability. This list is a draft and there are likely to be some slight changes. 6:30 pm Introduction by Ian Beesley. 6:45 pm KEYNOTE: Ian McMillan – an unforgettable start to the Symposium from one of the UK’s best-loved poets and performers. 9:45 – 10:15 am KEYNOTE: Francis Hodgson – an assessment of the state of photographic culture from one of the sharpest and most engaging minds in UK photography. 10:20 – 11:30 am Photography in Galleries and Museums. Are galleries meeting the public demand? How do they combine excellence and popular appeal? What audience are they aiming at, and why? What is the collection policy of the National Media Museum? Patrick Henry, Greg Hobson; chaired by Louise Clements. 11:45 am to 1:00 pm Photographers, the police, security and privacy. Will anti-terror laws and paranoia kill off street photography? Are we seeing a change in the public’s attitude to being photographed, and how restrictive could the law get? Diane Smyth, Jess Hurd, Andrew Wiard, one further speaker TBC. 12:00 pm to 1:15 pm The photography festival. What’s the agenda for festivals in the UK? How does the UK compare to the international scene? How useful are festivals for practitioners? Is four enough in this country? Can we get local authorities more interested? Louise Clements, Mike Brown, Yasmina Reggad, James McVeigh; chaired by Patrick Henry. 2:00 – 3:15 pm Photography in the press. While local newspaper photography sinks ever lower, and the national press pays less and less, has the magazine market peaked too? Are the days of earning a living from press and editorial over? Pete Jenkins, Neil Turner. Chaired by Colin McPherson. 2:15 – 3:15 pm The art market and collectors: print sales are one of photography’s growth areas but what makes a print sell? What are collectors looking for at the moment, and who is still buying? Have prices peaked? What happened to Photo London? Jeffrey Boloten, Francis Hodgson; chaired by Paul Herrmann. 3:45 – 4:45 pm The Collective and the Library. How are photographers organising themselves and getting their work distributed? David Hoffman gives an overview of the state of stock and library photography. How are they adapting to the seismic shifts in the market? Yasmina Reggad looks at the rise of photographers’ collectives in Europe – what can they achieve and what are the different models? Chaired by Ed Horwich. 3:30 – 4:30 Photography in print – books and magazines. An overview of the state of photography publishing. David Brittain investigates how digital technology is forcing print to adapt. Miranda Gavin looks at magazine developments. Chaired by Ian Beesley. 4:30 to 5:15 pm Land and Landscape. An open discussion on the current state of landscape photography led by John Darwell with John Davies. 5:00 to 5:45 pm KEYNOTE Chris Steele-Perkins – widely acclaimed and multiple award-winning photojournalist, a member of Magnum Photos. 9:45 – 10:45 am Documenting the socially excluded: With examples from his latest project, Len Grant considers the moral and practical pitfalls of photographing those at the edges of society. Chair Ian Beesley. 11:15 am to 12:15 pm Photography and political activism. Discussion with Larry Herman, chaired by Jess Hurd. 12:15 to 1:00 pm KEYNOTE Hannah Collins – influential artist working with photographic installation, film, sculpture and architecture. Famous for fifteen minutes! All attending photographers are invited to present their own work for a fifteen minute slot. It’s free for anyone attending the Symposium, and we’ll try and accommodate all requests. You’ll get more details when you’ve booked your ticket. NB nearly full (at 12.6.09). VOTE! A voice for photography – your chance to vote. Who would you choose to represent photography and photographers to the public? Behind this light-hearted vote is an important point – should photography have a single voice? What have you talked about? Pin a summary of one or two of your favourite conversations of the weekend to the wall. What did you talk about, who with, did you learn something new? Social media the old-fashioned way. Plenty of chances to network and chat with colleagues. Sunday only tickets if available will be £35 on the door. These dates and prices are provisional and certain tickets may not be available subject to demand. Concession prices are given to students, senior citizens, and unwaged. You will need to show proof of status on arrival. Refunds and cancellations: now not available as we are within a week of the event. Jeffrey Boloten is the Managing Director of ArtInsight Ltd, the art market education partner of leading art market research firm, ArtTactic. Following a business degree, and a background as a Solicitor, Jeffrey graduated from the Publishing programme at Harvard University, followed by directorships with international publishers including Penguin Books. Jeffrey then graduated from City University (London) with an MA in Arts Management, and a distinction granted for his dissertation, ‘Growing the Photography Art Market’. Following posts at the Tate, and as General Manager of a London art college, Jeffrey joined ArtInsight in 2004. He speaks frequently on the photography art market, and is currently lecturing on the Art Market, and the Photography Art Market, for the MA Art Business, and MA Photography programmes at Sotheby’s Institute of Art (London). Andrew Brooks is a photographer, a conceptual digital artist and film maker living and working in Manchester, north-west England. His visual palette draws its inspirations from analogue reality, the contemporary urban surroundings in which he lives and works or the natural world that he escapes into. Andrew’s creative process often results in capturing hundreds of images to create a complete work. Then, a meticulously developed sequence of cut, paste and rebuilding, moulding a new scene from his own vividly re-imagined viewpoint that is consistent, yet also a parallel with that of the perceived reality it represents. The images that emerge depict starkly beautiful urban scenes, empty but for the hollowed-out shells of buildings; cities suspended in the stars, imagined urban environments and serene pastoral scenes of the British countryside, seemingly real and at the same time untruthful in their vivid beauty. David Brittain has been involved with photography as a reporter, critic, editor (“Creative Camera” 1991-2001), documentary filmmaker (“Decisive Moments” series BBC2), curator (“Found, Shared: the Magazine Photowork”) and author (“Jet Age Compendium: Paolozzi at Ambit”). Since 2002 he has been attached to Manchester Metropolitan University (MIRIAD) as a researcher and lecturer. Louise Clements, Senior Curator at QUAD, a new visual arts and media centre based in Derby UK which opened in Sept 2008. She is also co-founder and Senior Curator/Director of FORMAT international photography festival. FORMAT takes place in Derby and has been running since 1995. The FORMAT programme celebrates and platforms the best of contemporary photography from all over the world and supports practitioners to develop through various professional practice programmes. FORMAT includes a diversity of techniques from darkroom to digital, printed, sculptural, projected and moving image. The next format will take place in March 2011. QUAD’s programme encompasses contemporary visual culture with a specialism in photography, film and media. QUAD contains galleries, independent cinema, artist studios, digital and physical production spaces and BFI Mediatheque. As a curator she has initiated commissions and exhibitions of international and emerging contemporary art, managed artists residencies and produced several publications since 1998. At QUAD she curates exhibitions, events, commissions, training, CPD, via partnership development and mentoring by forging partnerships with artists, curators, galleries, funders and many non-arts organisations. Louise also works as a writer and Kathak dancer. Hannah Collins (born UK, 1956) is a contemporary artist and filmmaker. She makes work on the collective experiences of memory, history and the everyday in the modern World. She is known for her photographic installations but has also recently made films with gypsies in Spain and in a village in rural Russia. Collins studied at Slade School of Fine Arts in London (1974-78) and in USA with the Fulbright Scholarship (1978-79). Besides intense and significant activity as a plastic artist she dedicates herself to teaching, lecturing in renowned schools such as the University of Davis, California and the Royal College of Art, London. She was visiting professor at Le Fresnoy, Studio national des Arts Contemporains, Roubaix, in 2007-08. She has had many international exhibitions and her work is in numerous public and private collections including Tate Modern, Centre Georges Pompidou, MACBA Barcelona, Reina Sofia Madrid, Dallas Museum of Art, and Luxembourg Museum. Nominated for the Turner Prize in 1993, Hannah Collins received the European Photography Award (1991) and the Olympus Award (2004). Hannah Collins lives and works between London and Barcelona. (from Wikipedia). To date he has had seven books of his work published, of which the most recent are ‘Dark Days’ (Dewi Lewis Publishing 2007) documenting the impact of foot and mouth disease around his home in north Cumbria, and a twenty five year retrospective ‘Committed to Memory’ (Tullie House Museum & Art Gallery 2007). Previous books include ‘Legacy’ (Dewi Lewis 2001) an exploration of the Chernobyl Exclusion Zone, and ‘Jimmy Jock, Albert & the Six Sided Clock’ on the Port of Liverpool (Cornerhouse 1993). John gained his PhD in 2008 for his research ‘A Black Dog Came Calling’ and currently lectures in photography on both BA and MA courses at the University of Cumbria in Carlisle. Miranda Gavin is a freelance writer, photographer and trainer. She is Deputy and Online Editor for Hotshoe International (bimonthly photography magazine) and is a regular contributor to other photography titles in the UK and abroad. Miranda has organised and delivered photography workshops for charities, including a PhotoVoice and Quaker Homeless Action collaboration, which culminated in a London exhibition (On the Move: Voices From The Street, 2004); working with children with Special Needs in Peru (2006) and running training courses for the National Union of Journalists. She was co-founder of ‘fungi to be with’ (1998) – an organisation dedicated to teaching people about mushrooms through leading forays – and has travelled extensively, having living and worked in Prague, Barcelona, and Sydney. She has a BA(Hons) in Photography, Film & Video (University of Westminster) and a Master of Research in Humanities and Cultural Studies (London Consortium, University of London). Len Grant is a freelance photographer and writer based in Manchester. Urban regeneration has been a major theme of his personal and commissioned work since 1990. He has documented the construction of many of the city’s landmark buildings and followed significant regeneration programmes. He has published over 12 books and has exhibited widely. He has recently curated the British Council’s OPENCities project – about European immigration – which opens in Düsseldorf in June. Hugh Hamilton has worked in photography for over 20 years. He has had both a formal (Universities of Westminster and Central England) and an informal education in photography (the BIPP, he was a corporate member.) He is also a member of the NUJ. Currently he teaches photography at Nottingham Trent University, as course leader of the Professional Certificate in Photography. This course provides an opportunity for the practising photographer, to build and expand their existing photographic practice and knowledge. Hugh’s diverse background has also led him to question some of the main presumptions of photography, and particularly photographic education, today. Patrick Henry has been Director of Open Eye Gallery since 2004. Before that he was Curator of Exhibitions at NMPFT, Bradford (now the National Media Museum). He studied History of Art (1986-9) and Cultural History (1997-9) at the University of Manchester, and worked as a freelance photographer 1992-7. Curatorial projects include group exhibitions Until it Hurts (2009), Andmoreagain (2005) and Fabula (2003); Patrick has been a member of the Liverpool Biennial curatorial team since 2004. Larry Herman is a political activist who happens to use a camera. His session will be an open discussion about political activism among photographers working today and historical precedents and using photography to record news events, illustrate copy written by others and what is meant by social documentary photography. Paul Herrmann has been a freelance editorial photographer since the mid 1980s, specialising in social issues and the arts. In the late 1990s he helped start Redeye, the Photography Network, and now directs it. Through Redeye he set up Photomobile, the travelling photography centre, and Look 07, a photography festival in 2007 (due to run next in 2011). Francis Hodgson writes on photography for the Financial Times and is a consultant on various aspects of photography to a wide roster of clients. He is the chairman of the panel of jurors of the Prix Pictet, the world’s richest photographic prize, upon the executive of which he also sits. Hodgson was until 2009 the head of the photographs department at Sotheby’s in London. He has been a writer on photography for many years, including stints as contributing editor on photography for Art Review, and a regular contributor to The Economist. He was once VP for content development at Eyestorm, the online art dealer and before that was the founding European creative director for Photonica, a major photographic stock library. Hodgson has been a gallerist both in the private sector and the public, has been a frequent visiting lecturer at photographic schools (and used to teach a course in the culture of photography at the Royal College of Art). David Hoffman has specialised in social issues photography for more than 30 years. Resolutely independent, he primarily shoots stock for his own photo library, rather than working to commissions. Much of his work centres on the increasingly visible control that the state exerts over our lives and choices. Racial and social conflict, policing, homelessness, drugs, poverty, social exclusion and environmental protection are documented, often through coverage of protest. A founding member of Editorial Photographers UK and Photo-Forum London, with a critical interest in issues around copyright and intellectual property, David is actively engaged on the frontline of his beleaguered profession. Ed Horwich is a photographer in design, editorial, advertising and fashion. In 1997 Ed created the Prodig.org Email List, which now has 2000 subscribers worldwide and is a leading forum for professional discussion about issues regarding the digital image. Also that year he was part of the Steering Group (PPP/ITO) for Vocational Qualifications in Digital Photography. From 2004-07 he was a non-executive director of the Association of Photographers, with responsibility for the Regions. He’s co-organiser of Shot Up North the SUN Awards, the annual event which showcases and rewards the best professional photography in the UK regions. He tries to stay involved with as many aspects of photography, digital and social media as possible. Jess Hurd is an award-winning photojournalist and campaigning photographer, with over 12 years experience supplying images and photo-essays to international newspapers, magazines, NGO’s and movements of social change. Based in London, Jess works with a broad range of campaigning organisations on social issues often inadequately covered by the mainstream press. In the international sphere, she has worked at the global political grassroots – the Bolivarian Revolution in Venezuela, the Zapatistas in Mexico, and urban social movements in Brazil, India, China and Africa. A vocal advocate for photographers’ rights, Jess is one of the founders and organisers of Photo-Forum, a monthly London event where professional photographers showcase their work, socialise and discuss photographic issues in a mutually supportive environment. She is an active member of the National Union of Journalists, the IFJ and BPPA. Pete Jenkins is a photojournalist with more than thirty years experience. ‘Fleet Street’ newspapers, magazines, books, public relations and new media. From black and white dunk tanks to tethered digital shooting. Formerly a sports specialist working in London, Pete is now based in Nottingham, East Midlands. His clients include unions, newspapers, publishing companies and commercial businesses worldwide. Pete writes for a number of UK professional and amateur, photographic and Journalist titles about professional photography and the business of photography. John Kippin is an artist and photographer who lives and works in the North-East of England and who works largely within the broad context of landscape. Many of his works integrate texts and images in ways that challenge the realist paradigm that traditionally underpins a range of documentary and realist practices. John Kippin’s work pays allegiance to the conventions and traditions of pictorial landscape whilst foregrounding issues within contemporary culture and politics. In addition to works made for the gallery, he has produced a number of public art-works and publications. His work has been widely exhibited both in the United Kingdom and overseas and is in many collections. He has contributed to numerous conferences and symposia and he has taught and examined Photography at all academic levels. Currently, he is Chair of the Association of Photography in Higher Education, a Trustee of Locus + and Professor in Photography at the University of Sunderland. Colin McPherson was born in 1964 in Edinburgh and has worked as a photojournalist for over 20 years, covering major news stories and and social and environmental features for newspapers and magazines at home and abroad. He also works on long-term projects including a unique study into the decline of Scotland’s salmon net fishing industry which has been published and exhibited across the world. He is a contributing editorial photographer with Corbis now based in Liverpool. Recently, his work has taken him to Swaziland for a story on that country’s response to the HIV/Aids crisis, and to the Amazon, where he looked at the measures being taken to protect rural communities in Brazil threatened by deforestation and agri-business. In 2008, Colin’s latest project, ‘ Mersey – the river that changed the world,’ was published as a book and exhibited widely across northern England. James McVeigh. Born and raised in Ireland, James joined Arts Council England after a number of years working in the arts and related sectors in the North West, South East, South West and East Midlands of England. Such work has ranged from senior management roles with a number of the Arts Council’s regularly funded organisations to strategic development positions in public-private regeneration partnerships. In his current role he manages a team of specialist officers who work on developing additional resources for the arts, aligned with national policy areas ranging from sustainable communities and local area agreements, through regional economic strategies and spatial plans, to the creative industries and creative economy programmes. His specialist area of interest and practice is festivals and their role as a key element of the cultural infrastructure, which has led him to develop various festival policy contexts and international festival partnerships including the European Festival Research Programme. Yasmina Reggad graduated in Middle Ages History at the Sorbonne University in 2000. She has worked for about 10 years in books promotion and in the publishing industry. She has lived and worked in Paris, Mexico, Montreal and Madrid. Yasmina is a now an independent photography curator based in the UK and director and founder of the not-for-profit organisation Photo-Festivals / Foto-Festivals Ltd. She created the Crossing Point Residency, a short-term residency for emerging photographers which takes place during the opening week of photography festivals. She has recently collaborated on a long-term project with Format09 International Photography Festival (Derby, UK) organising and curating the first encounter of photo collectives in the UK for which she has curated the collective exhibition “Time”. She is presently working on projects related to photography in the Middle East and Brazil. Yasmina Reggad has received bursaries from International Curators Forum (“Young Curator Workshop” programme, in partnership with Tate National and Sharjah Biennial, 2009). Diane Smyth is the deputy editor of the British Journal of Photography and has worked on the magazine for five years. She has interviewed many of the world’s leading photographers, and her work has also appeared in Photo District News and Creative Review. She has given talks at BJP’s annual student event, Vision, and The Photographers’ Gallery and reviewed photographers’ portfolios at the National Media Museum and the Whitechapel Gallery. John Perivolaris is an independent photographer and writer. He is currently Photography Research Fellow at Nottingham Trent University School of Art and Design. Chris Steele-Perkins was born in Rangoon and moved to London with his family at the age of two. At the University of Newcastle-upon-Tyne he studied psychology and worked for the student newspaper. In 1971 he started working as a freelance photographer in London. In 1979, his first book, The Teds, was published. Chris joined Magnum the same year and soon began working extensively in the Third World. His latest large-scale project is on the situation in Afghanistan. He is now also working extensively in Japan. His reportages have received high public acclaim and have won several awards, including: The Tom Hopkinson Prize for British Photojournalism (1988), The Oscar Barnack Prize (1988), The Robert Capa Gold Medal (1989). Neil Turner. After getting an HND in Advertising & Editorial Photography from Medway College in 1986 he quickly moved into news and features and in April 1987 he joined together with Jez Coulson and David Stewart-Smith to form the collective Insight Photographers. The collective became an agency and over the next seven years Neil worked for variety of specialist publications including the Times Educational Supplement who offered him a staff job in January 1994. Known for his use of portable lighting and his environmental portraiture, he became an early adopter, becoming 100% digital in 1998. In 2000 he launched dg28.com – a website devoted to showing other photographers how to use portable lighting during an era when the digital cameras were poor at high ISOs. By 2004 the site was getting over two million page hits a year. In August 2008 Neil left The TES after fourteen years on the staff. He is now working freelance for a wide range of publications, lecturing on several higher education courses and still running dg28.com. Neil is a vice-chairman of the British Press Photographers’ Association and has been part of the management of the association since it’s reformation in 2003. Andrew Wiard studied photography under Victor Blackman in his weekly Amateur Photography column, & photojournalism working at Report with Simon Guttmann, one of the founders of the genre. A freelance photographer, and an NUJ member who has held office on its Freelance Industrial, and National Executive Councils. Represented the Union during the last reform of the Copyright Act in the 1980’s, and co-launched their campaign resulting in today’s National Press Card. A founder of the EPUK email list, a business discussion group for photographers, and still the UK brand leader. Finally dumped Canon for Nikon. Deputy editor of new online magazine Pro Shooter.